Have you ever tried Reflexology as an alternative therapy or alongside medication? Recently I went along to Essential Feeling in Gidea Park Essex to have a treatment. Now this was my second dabble in reflexology and i was interested to see if it was any different to the first time I tried it.The first time around, four years ago, I was very, very unwell. I was fighting for survival and willing to do and try anything and everything, and I really did. Unfortunately at the time I had reflexology, I was constantly on morphine and a strong combination of drugs and was so completely out of it and unwell that I just don’t think anything could have helped me at that time. With some trepidation, I went along for an hours treatment. It may be small but all you need is the Reflexology chair! Essential Feeling in Gidea Park Essex is not far from me at all and I was greeted with a very friendly, warm welcome from Karen Broderick. Karen and her husband own and run the business from a cleverly converted garage outside their house. As you walk inside it looks and feels exactly like a salon, is very calm and relaxing. Karen is a fully qualified reflexologist and is a fully paid up and active member of the AOR (Association of Reflexologists) which requires regular training to ensure she is fully up to date with the latest techniques and practices. You can find out more about the AOR here. Karen greeted me like a long lost friend and I immediately felt relaxed and at home in my surroundings. Although very small and compact at first glance, the reflexology room is big enough for a chair, has lovely soft lighting, mood music and is very comfortable. Before my treatment I had replied to the consultation form that was emailed to me a week previous. This gave Karen a list of my medical history and medication so that she had an understanding of who she was treating. This always makes me laugh as I do have a rare condition and quite a complex medical history I sat down and we had a little chat about how I was feeling that day and were there any concerns I had about the treatment or any part of my body that I didn’t want treated on, via my foot. Reflexology is a complimentary therapy that can bring relief to the person being treated, for a whole host of conditions. However it is not a medical diagnosis. By working on the feet with the principal that every organ in the body has a corresponding place on the hand or foot, the therapist can use gentle movements to allow your body to rebalance and heal. I think its safe to say that we are all pretty aware of the effects stress, illness, injury or disease can have on our whole body and so this therapy can be a great way to relax, rebalance and regain our former more calm self. 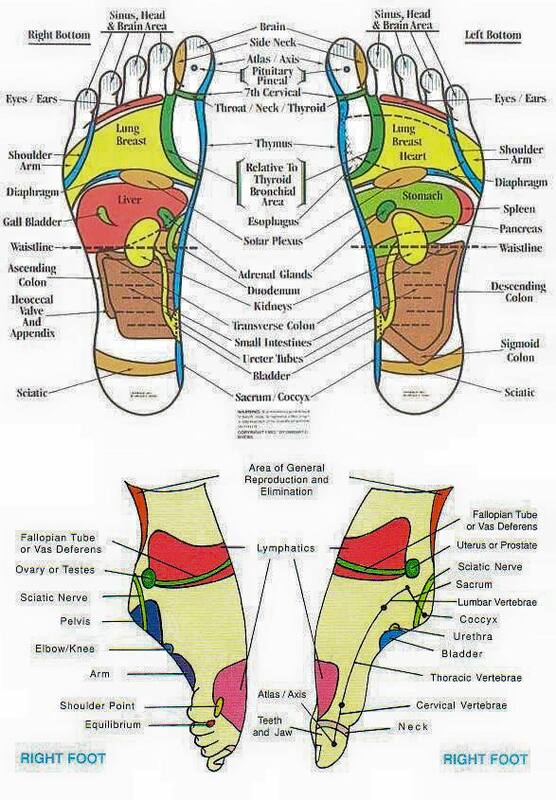 There is a whole host of conditions that reflexology can help with so please do read more HERE. The treatment is so relaxing, even if you are not a “feet person” a conversation which I had with Karen. I sat back in the reflexology chair and was reclined, Karen then placed my feet on a pillow on her lap, removed my socks, cleaned my feet and applied a powder that would enable her to manoeuvre easily over my feet without them rubbing. She then covered one foot up with a towel to keep it warm whilst working on the other one. Now, you can just lie back and relax and even fall asleep if you wish, but I like to have a little chat and find out what is going on. I must admit though, there were a few occasions where I did go glazy eyed and very nearly nod off. I asked Karen how she had come to being a reflexologist and she had mentioned that having had a serious car crash some years earlier, she tried reflexology as a means to manage her pain. She was so blown away by the results, how she felt during and after treatment and the practice of reflexology, that she trained to become one herself and so after lots of hard work Essential Feeling was born. During my treatment Karen gently massaged and pressed areas over the sole of my feet and toes. Some areas ached a little and some felt tender but at no point was I uncomfortable. I was deeply relaxed and thoroughly enjoyed every second. I had mentioned that my feet always hurt, not just because they lug my big body around, but the soles hurt and Karen was able to pinpoint the exact area and tell me that it was to do with my adrenal glands. Basically they are shot to pieces hahaha, which is something I already knew and had been having tests for. I was also dehydrated, which I always am due to medication and she told me how it is so important for me to drink loads of water. Karen was able to tell that I had a heavy dinner the previous evening as my intestines were overloaded with carbs which had not broken down. This was the pasta dinner I had eaten the previous evening -euuurrrggghhh! She was also able to pinpoint areas where I always hold my stress and massage out those areas on my toe and help with the pain of a horrific toothache that I had been suffering from, she was able to ease the pain on the right side of my face. She could also feel that I had some crackling on my lungs, which I told her after were weak from continual bouts of Pleurisy. I was amazed and what she discovered about me that I hadn’t told her, and how she could ease the pain. Surprising to me, Karen could pinpoint pain in the lumber area of my spine, which I hadn’t mentioned and asked me about it as she could feel trauma in that area. I had 14 lumber punctures over the space of 16 months and most of them took three or four attempts hitting nerves each time so my poor back is completely shot to pieces. She could feel all of this in my toes and soles of my feet and was able to massage out little areas to give me some relief from pain. I was amazed at what she could feel and what I could feel whilst she was doing it. I was also so deeply relaxed I was trying to stay awake as my voice got deeper and deeper. The only area I asked her not to go near was my brain and brain stem as I do have a brain condition and although it would not exacerbate the problem, it might give me some symptoms temporarily and I just didn’t want that to happen. Before I knew it my hour session was over, it had gone so fast and I felt totally and utterly relaxed and de-stressed. It was the most amazing session ever. I was told to drink plenty of fluids that day to flush out all of the toxins and try and take it easy. That night I had the most incredible sleep that I had had in a long time. I really,really can highly recommend Karen. Obviously I had only the one session but am looking to go back for further treatment soon. You may find that you need a course of treatment to really make a difference and I know that it can be quite costly but I suppose there comes a time where you have to decided what price do you put on your health? I really think its time I invest a little more in me. Have you ever tried Reflexology? How did it work for you? Leave your comments below. Have been going to Charlton for massage for a number of years. I am 78 and nursed my wife for a number of years until her death in 2018. Both Karen and Charlton helped my wife cope with Alzheimer’s using reflexology and massage and with the massages I received I was able to cope with the stress incurred in looking after someone with a terminal illness. No words can describe my gratitude for the help given to both of us over a number of years. I continue with massage to maintain my fitness and remain pain free. Two genuine souls who wish to help others cope with what life throws at them. All power to their intentions.